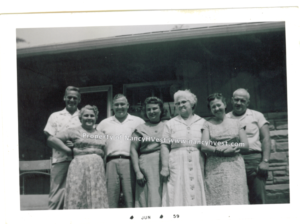 The prompt for 52Ancestors this week is Old Homestead. There isn’t an old homestead in any of my family lines. After some thought, I came to the conclusion that my parents’ house was the Old Homestead for my mom’s family. My parents’ house was about the only house that was a constant in all of our lives, and everyone visited there. Some more than others, but everyone came. My parents aren’t living anymore, and the house was sold, but the memories stay with us all. 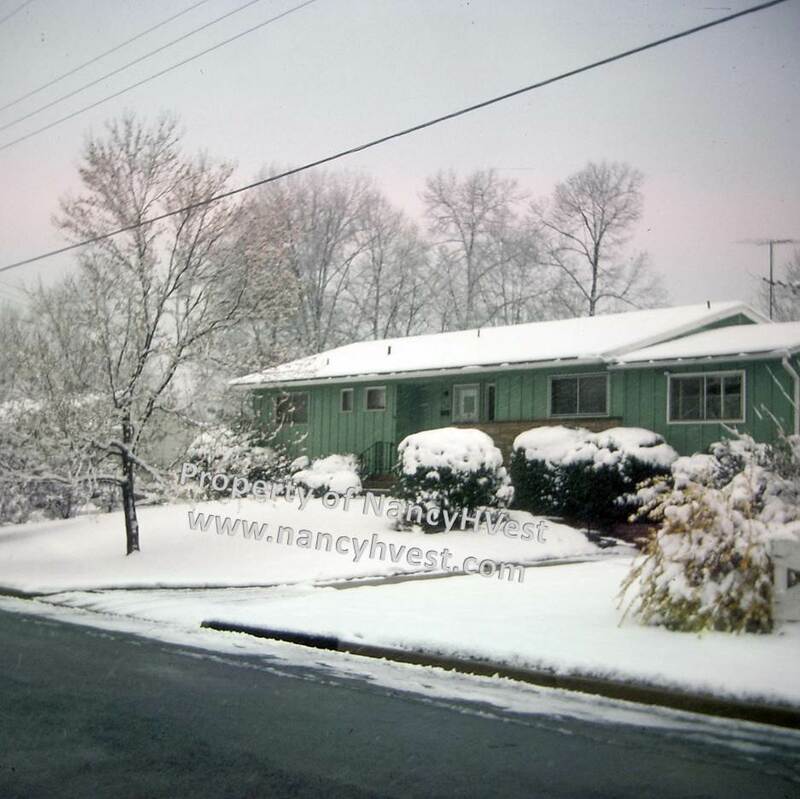 My parents (Charles L. HEISER and Gladys MARTIN HEISER) bought their ranch house in Vienna, Virginia in 1957. My sister, Joyce, was about 18 months old. My mom’s mom (Florrie THOMAS MARTIN) moved there with them. She had been widowed about two years before that. I wasn’t born until 1959. 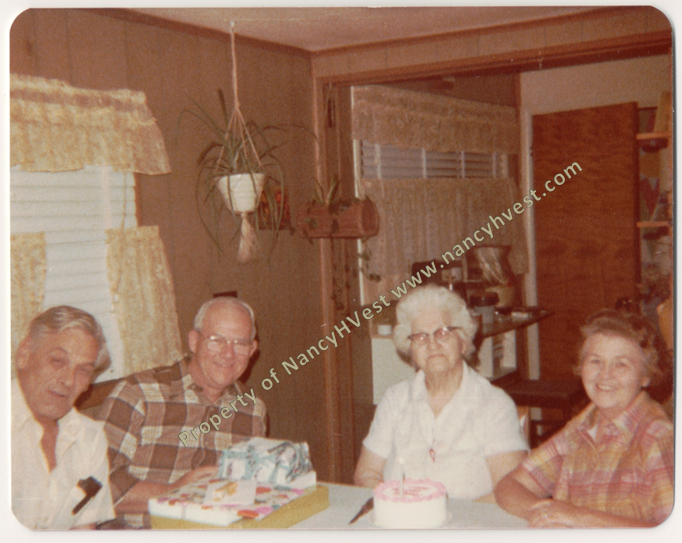 Charlie (my dad), Aunt Millie, Uncle Bobby, Aunt Ruby, Florrie (my grandma), Gladys (my mom), Uncle Tommy. All the aunts and uncles (and my mom) are children of my grandma. Photo taken in 1959 in front of house. My mom had seven siblings who were spread across the east coast, Midwest, and south. Her father had 10+ siblings who had many kids themselves. Her mother had a lot of family in South Carolina where she and my grandfather had come from. 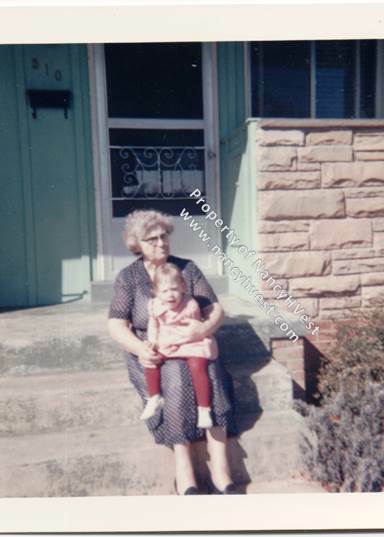 Grandma and me on the front porch about 1961. On holidays, and non-holidays, extended family would visit. Usually one weekend a month, family was there. Sometimes it was planned, sometimes it was preceded by a call from the 7-11 around the corner asking if they could come by and visit, and sometimes there was no warming at all. They came from Baltimore, Winchester, Pennsylvania, South Carolina, Texas, Mississippi, Alabama, Florida, Ohio, New Jersey, Louisiana, and other places. It didn’t matter who came, or if the visit was pre-planned or not. My parents welcomed everyone with open arms. Joyce and I fondly remember Mom hanging up the phone when family would call from the 7-11, and sending Dad to KFC (Kentucky Fried Chicken) to get food for everyone. Then she’d go to my grandma’s room and let her know who was coming so Grandma could freshen herself up before whoever arrived. 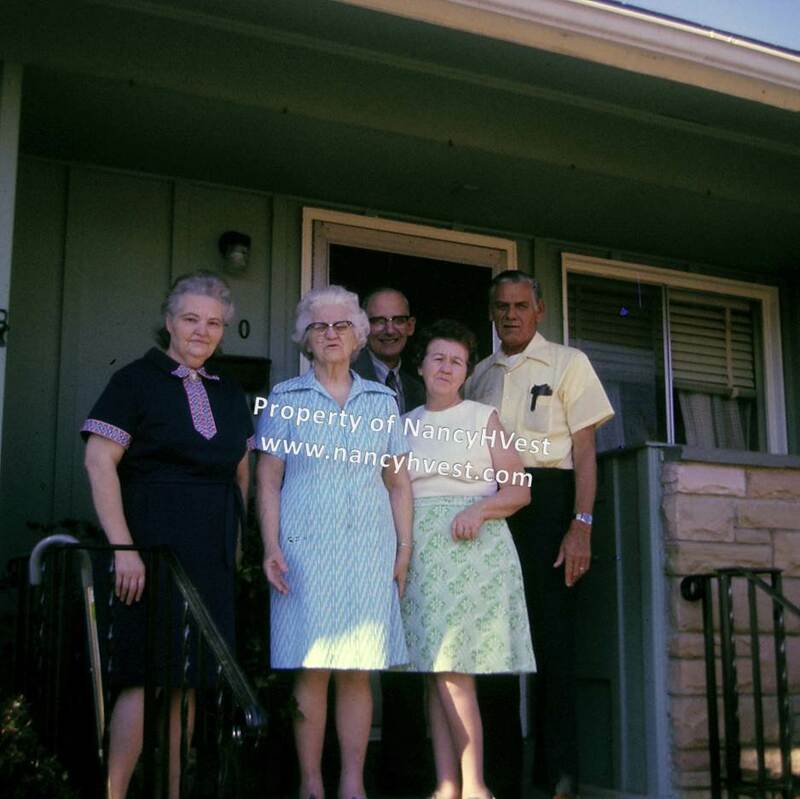 Everyone considered the house to be Florrie’s even though it was my parents’ house. Florrie was my grandma, and everyone wanted to come visit Aunt Florrie, Cousin Florrie, Mother, Granny, Sister, Sister-in-law, or whatever they called her. Joyce and I were blessed to meet and visit with so much extended family, to hear stories that I so wish I’d written down, and to smile as they all laughed. Oh, how they all loved a funny story, and most of them were great oral storytellers. 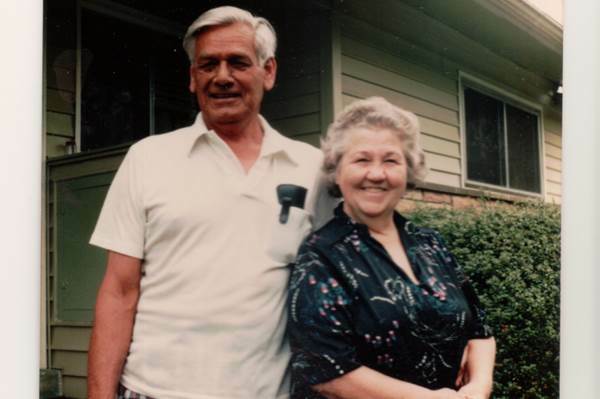 When Grandma passed away in 1979 at 84 years of age, the funeral home was standing room only. After it was all over, many of us returned to my parents’ house in Vienna to have a bite to eat and decompress. 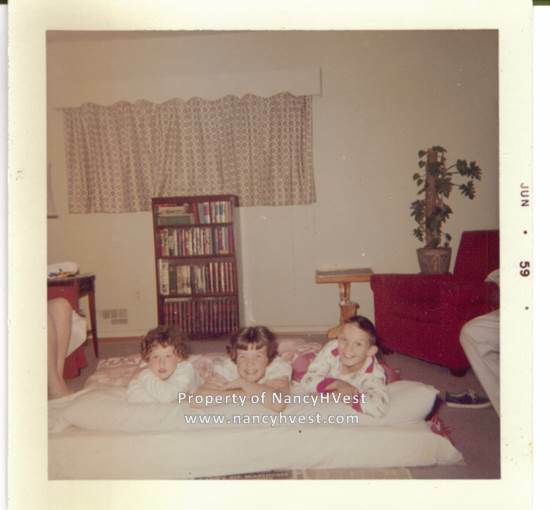 We sat around the kitchen table – my parents, my sister, some aunts and uncles, and a cousin or two or three – and we played Uno. We let go of the day, and we let go of the pain for a little while; and we laughed and we smiled. That is one of the most bittersweet memories of my life. My parents’ house continued to be the place to visit even after Grandma died, though not as many relatives came since some passed away, too, and others were too old to travel so far. But when they came, the house was still filled with laughter and stories. Before Joyce and I sold the house in 2000, our cousin, Lynn, asked if she could come visit one more time. Of course, I said. As she sat in the dining room with me, reminiscing, she said it was like the end of an era. That it was. Is there an Old Homestead in your family? Tell me about it in the comments. How are doing? Yes this is your former neighbor, Janet Fulford Breithaupt. I lived across the street from you growing up. Thank you for your lovely writing about your family and your parents. I sure enjoyed reading it because it brought back memories for me too. Just like it was yesterday or something. A funny thing, not so long ago I took my husband Jim to Vienna, Va and we went through Vienna and of course to Orrin Street. Some of the houses are beING torn down and Million Dollar homes are now being put in. So hard to believe these days. After working for Aetna Insurname for 18 years right after high school I was able to stop working for along time. We do not have any children but, have been blessed with wonderful dogs. My husband works for EPA, and I went to school and became a massage therspist. My brother David lives in PA. Yes, guess what he does??? Yes, he is a Priest and Professor at a university. Wow what life changes have gone on. Well if you have time, Please text me sometime. How wonderful to hear from you! I’m glad you enjoyed the blog post, too. Orrin Street was a wonderful place to grow up, wasn’t it. 🙂 I’m sure you remember Barb Jenkins Ruckman. She and I were just talking about you last week. I talked to Barb tonight, and she said to tell you hello. I will text you Tuesday or Wednesday. Can’t wait to catch up some more.